Packaging matters. Particularly if you run a business and send parcels to your customers, you will know it’s important to put some thought into how to package your items. It’s worth investing some time and resources into doing all that you can to ensure the goods arrive safely at their destination, without damage to the contents. Here are 5 of our tips to perfect packaging. Whilst recycling is great, this is not the case with choosing a box for your parcel. Use a new double-wall box every time. 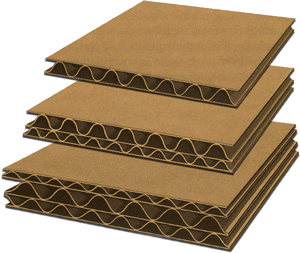 Double-wall corrugated boxes are made with 2 layers of corrugated cardboard with a liner board in between and provide improved strength and stability for your parcel, compared with single-wall cardboard. The double layer also adds protection with its cushioning effect and helps to absorb any shock that may occur in transit. For heavier packages, it may be advisable to use triple-wall packaging to give even more protection. It’s important to choose a box of the right size that is appropriate for the item you’re sending. Under-filled boxes could collapse as they travel along machines with other parcels, and overloaded ones could burst. Your contents should fit snugly inside the box with 5 cm of padding from your choice of internal packaging, as below. Internal packaging must be used to add extra protection for your goods by making sure items within the parcel don’t touch each other, reducing internal movement of the contents and providing clearance from the external packaging. If your item is smaller than the box you’re using, make sure you use plenty of foam or bubble wrap for protection. Examples of the type of materials you could use are bubble wrap, foam wrap, polystyrene surrounds, shaped & moulded foam, polystyrene chips and cardboard as a support structure. 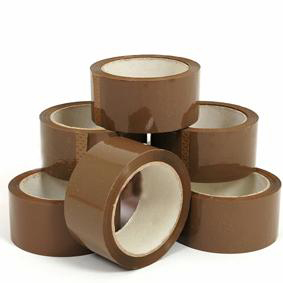 When it comes to sealing your parcel for dispatch, it’s important to use strong parcel tape. Regular domestic tape just isn’t strong enough to protect your goods during transit. Once you’re sure the box is secure, tape around all the edges of your box as well, as this will strengthen the corners and make sure your parcel is protected in transit. 5) We’re here to help! Don’t forget, making sure your goods are adequately packaged is your responsibility as the sender. We’re very happy to answer any packaging queries you may have, you can contact us here. If you have any packaging tips to share, we’d love to hear from you – find us here on Twitter or Facebook.